The Executive Master of Engineering Management (EMEM) program in St. Paul will help you develop advanced leadership and management skills. You will expand your creativity in a team environment while strengthening connections with students, faculty and local industry leaders. Presented jointly by St. Cloud State and Metropolitan State University, you will learn in a program that bridges the gap between engineering and business. The EMEM program can accelerate your career and is an excellent alternative to an MBA for engineers, techologists and those with business degrees working in an engineering/technology company. Designed for working professionals with classes on alternate Friday nights and Saturday mornings. Designed for individuals with undergraduate degrees in engineering, science business or related disciplines. Taught on the campus of Metropolitan State University in St. Paul, Minnesota with free and ample parking. Curriculum includes projects and homework that can be completed at your workplace. Each cohort starts in January and graduates in 18 months. Available as both a part-time and full-time program to domestic and international applicants meeting admission requirements. Very affordable high quality Engineering Management program. An optional one-week industry tour of China is offered in the final semester and spouses or partners are eligible to join. Small, peer group classes provide individualized attention and a challenging atmosphere. 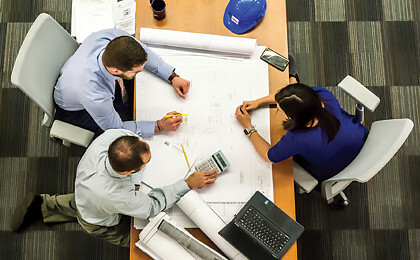 Graduates of the program are eligible for obtaining American Society of Engineering Management's associate engineering manager (AEM) title on graduation. No GRE/GMAT examination scores required. 1 of 5 master's programs in Engineering Management in the United States certified by the American Society for Engineering Management. One of three model programs shortlisted by the Chinese Academy of Engineering-Engineering Management Division for a delegation visit to study as a model MEM program. Courses taught by faculty from St. Cloud State, Metropolitan State and senior-level executives from the industry.